Your payment can be paid using the following options. Although Normal Member Account is totally free, the Super Member Account is charged for one year and given more facility options for it. That's why people ask for such accounts. You can pay us though Paypal clicking the link given bellow. 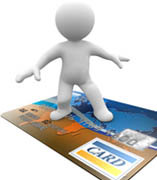 Whether you have a Paypal account or not, you can use Visa, Master or Credit cards for complete the payment. Select the Registration period and Click the button to make payment to us. You can pay us though Dialog eZ cash to our mobile number given bellow. Your payment can be done via Cargills food city, keells super centers, Dialog arcades, singer mega service centers, communications, etc. Your eZ cash payment should be sent to the following number. You must give an SMS by confirming the place where you sent money from to the same above number as soon as you send the payment to the above number.